You must make reservations at least 5 minutes in advance of the time at LA TRATTORIA. 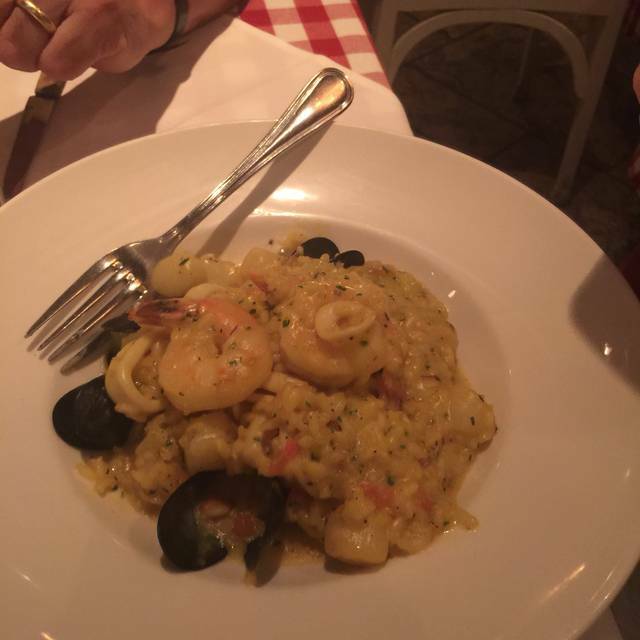 Located in the heart of Downtown Naples, La Trattoria has combined old world charm with a sense of family. 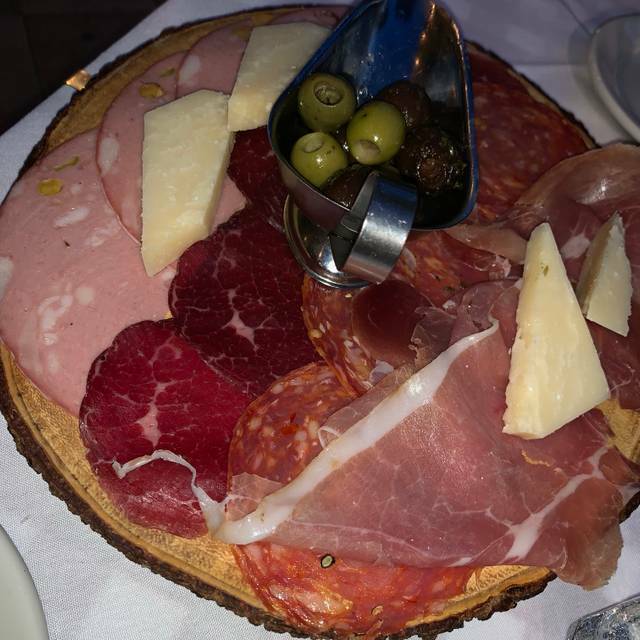 Locally Owned and Operated, the familiar faces that run La Trattoria are the same that have been voted nationally “Travelers Best Everyday Dining “ a couple doors down at Caffe Milano. Luca Di Falco has extended his warm welcome down the street through the arms of La Trattoria. By Partnering with Massimiliano Tonni, an award winning craft cocktail creator, and by far one of the best front of the house managers in town and Domenico Foraggio, a third generation Pizza Chef from Naples Italy. 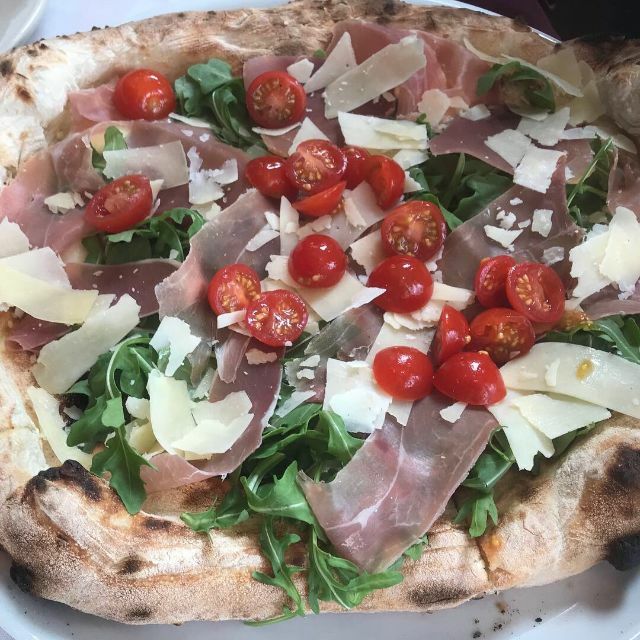 La Trattoria offers an extensive selection of real Neapolitan style Personal Pizzas, Chef Domenico siting the reason it’s so Delicious is the simplicity of the ingredients and the many topping combinations the restaurant offers. La Trattoria also offers a full Pasta menu with options that make your mouth water and a unique Imported Beer Menu. It was my husbands birthday, which I stated when making the reservations as well as when I arrived. Our table was not ready when we got there and the matre d had us walk around for 10-15 minutes until it was ready, which we were fine with but we were then given a waiter that was NOT good at all. He didn’t seem to want to be there. Didn’t take our order until 1/2 hour later, we had to ask for water numerous times, forgot to bring our wine. When we were done eating he asked if we wanted desert and after we all said yes, he never came to take our order. He left our dinner plates on the table after we asked him to please take them away. When he finally came back to take our desert order we were fed up And asked for the check. I told him he ruined my husband’s birthday so then he brought my husband a plate of desert while he held a candle and had the DJ play happy birthday. He wouldn’t even give my husband the candle for him to bow out. The only saving grace for this place was that the food was delicious. It was the 2nd time eating here in a week. The service was a little better the first time, but Saturday night’s service was horrible. It’s going to be a while before I can go back. Everything about La Trattoria was fantastic. Will return many times in the future. I will definitely order one of there pizza pies next time as well as one of their home made pasta dishes. The gravy is the best !! La trattoria is my favorite place to eat. The location on 5th ave is exciting. The food is authentically italian. Service can't be beat. Happy hour is unbeatable. We visit Italy frequently and can’t say enough about the food. 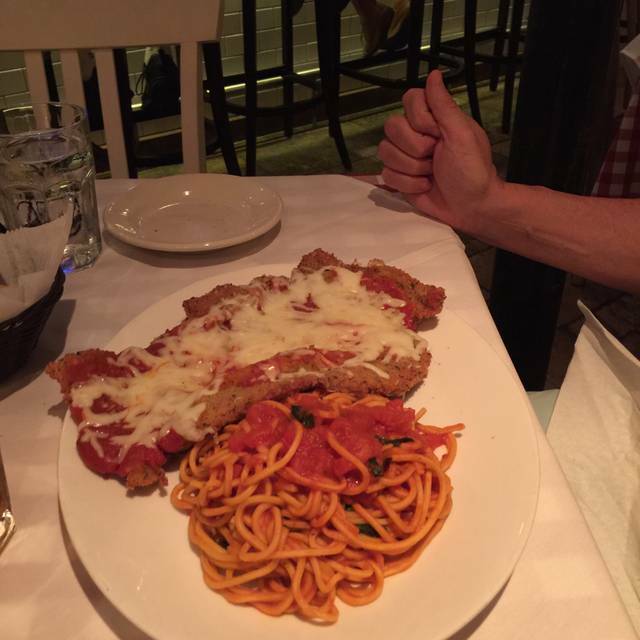 We drive across the state from Boca Raton because La Trattoria is the closest to the authentuc Italian cuisine we’ve ever had in the U.S. In addition, the service and environment is impeccable. A traditional red checked tablecloth Italian restaurant. Great for families and large groups. Homemade pastas and real Napoli style pizzas are delicious! Our server Barbara was wonderful! This was our second time here. We brought a new couple here and they loved it. You can't go wrong for the half price full menu and liquor happy hour. Excellente! A bit noisy with music and chatter which could be remedied by lowering the volume of the music. Food phenomenal! Great food! All 7 of us were so impressed. We will for sure be going back again. Date night in a casual setting. Great food. Authentically Italian. The turkey meatballs were fantastic. Loved the wood oven pizza. Washed it down with a fabulous bottle of Chianti. We had an outdoor table on the sidewalk. Service was outstanding! We loved the meal here. We will definitely eat here again on our next trip to Naples. Very good restaurant. Have been there several times. Would recommend to anyone. The half price earlybird menu was great. Especially the mussels,the pasta e fagioli soup and the pizza. We had great food tonight and if I were just reviewing the food would give 5 stars. However, the service was unacceptable and left us disappointed. Our waiter was mostly uninterested in our party, maybe because we were a big group with 5 children. He pretty ignored us and saved his attention for his other tables, though the restaurant was not busy at 5pm. This is what was unacceptable. No refills on water. Didn’t bring plates out with the pizza. Took a long time to bring the bill. Overall, my advice would be to take your business to any of the restaurants nearby that have great food AND provide great service. Though the pizza and food was excellent, I would not return to this restaurant due to the poor service. Servers are a little robotic. After serving each course including drinks, the server would say...you like? The food was amazing, the service was a little delay but the ambient and the food reminded me of the old trattoria in Italy. Definitely recommend La Trattoria for pizza and the amazing turkey meatballs. Beyond that not great for kids- we were charged $18 for a small bowl of pasta w/ butter. And another $18 for a side of pasta and butter to accompany my husband’s Marsala...seriously! Ate outside, quieter than inside. Disappointed in bread this time. Not crispy and hard crusted as before. Soft crust. Raved about bread to friends, but not like before. Told that just how it was. However, I had the mussels and the bread was warm and crispy. Don't understand why the bread at the table wasn't as good. Our waiter was very attentive and recognized us when we returned again the following evening. Great service! Having a couple with us enjoyed their first experience with La Trattoria. They shared their five star rating as we do too. We all will definitely return. Our gentleman wait staff, Mileao, not sure of spelling. He was very attentive but kept his distance and only approached us occasionally. Great service from him and other staff as well. Fabulous food again. Never a disappointment. Overall great experience. A little loud for social conversation. Great Italian food and wine. Service is friendly and attentive. One of my fav places to visit. I ordered pollo Italiana and the chicken breast were extremely dried out. I did not finish my meal . I should have told me server but I was a couple for the first time and did not want to make a stink. My wife’s meal ahi tuna was also on the dry side. I’m not Recommending this restaurant. Loud. Hardly any space between tables so feel free to join in on conversations between fellow diners. Wait staff not too friendly and failed to notice my empty drink. Never checked on refills or followed up to check after food was delivered. Menu is so so. Wait staff so so and your experience will be so so. Excellent food, service and great value, will be back often. A good traditional Italian restaurant for families. This is our third time at the restaurant and the food has been fabulous every time. Best Pizza in town. The manager and service staff were great. The dessert was also delicious. We didn’t try the homemade pasta yet but we are looking forward to our next visit and more pleasant surprises. Special thanks to Masi! We have enjoyed several Happy Hours both sitting at the bar and at tables! Love the Smoked Salmon Pizza, seafood soup and Tiramisu made at our table. Excellent service! We’ll be back next year! They Antipasto and the Frito Misto were superb as was the thin crust Neapolitan Pizza. There were many Pasta’s and Pizza’s to chose from, each made to perfection. Luca and his staff were very attentive, making for a lovely experience. Nice resturant, food was good. Pasta was a bit over cooked. Service was not the best. Forgot to serve us bread and parmesan/pepper on the pasta.